When it comes to searching for fresh information about the business world, all we have to do is tap our smartphones (or tablets) and we will immediately have access to a insightful website. The key to success in every online business, and in life, is to be constantly informed and open to changes. 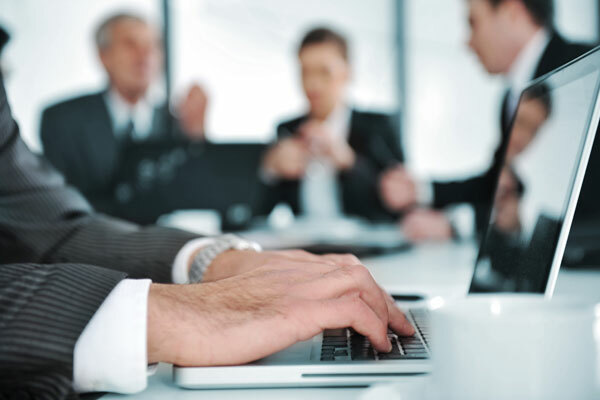 We made a list of best business websites to gather the information you need daily. It is essential to stay connected to at least one of the best business websites out there, especially if you are an entrepreneur or simply interested in the best practices. Whether you are a business person and want to be up to date with new content everyday, or you own a small business that needs a more online presence, top business websites can be a real inspiration for many of us, as well as a source of reading interesting and inspiring articles. If we think of the recent evolution of technology and the way influenced our lives, we can say that we have become more tech savvy, practical and resilient than ever before, especially the young generation. According to a recent study cited by Reuters, teenagers who represent our future generation of workforce seem to have a more practical view of the world than older generations and they are also more engaged in online conversations. We all know that reading has been transformed lately, as we are more open minded and interested to experience this pleasant activity on a tablet, laptop or an eBook reader. Therefore, the evolution of online environment has made it quite essential to have an online business that delivers high quality content for its readers and maximize the firm’s potential and get more clients, a list with best business websites can be really useful and inspiring from content to web design. If you have a small business website of your own you are probably curios how other publications are doing what they do. So are we! Take a look below and see which business website from the list can help you find the best answers for your company. eBiz MBA has ranked the most popular business websites in a top 15 by considering each website’s traffic rankings in US and has found Yahoo Finance as being the website with approximately 50,000,000 unique monthly visitors. While the design doesn’t necessary impress the reader, the website itself has a wide range of sections available such as investing, personal finance, news or portfolio plus details about the stock market index, gold, oil and the latest currency exchanges. 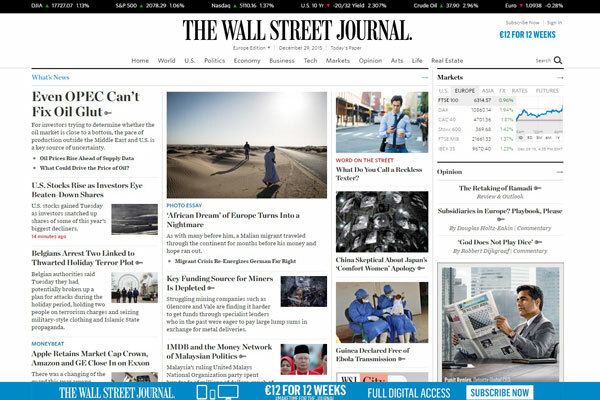 Probably one of the most popular and famous online publications, the Wall Street Journal covers breaking news and headlines from the United Stated and around the world, constant up to date and fresh content with interesting news, top stories, photos, videos, financial stock market overview plus a special blog with real-time news and analysis plus date from the Journal. Readers can also find tech news, life & opinion plus an online community. The publication is also optimized for tablets and mobiles for a better and friendly user experience. 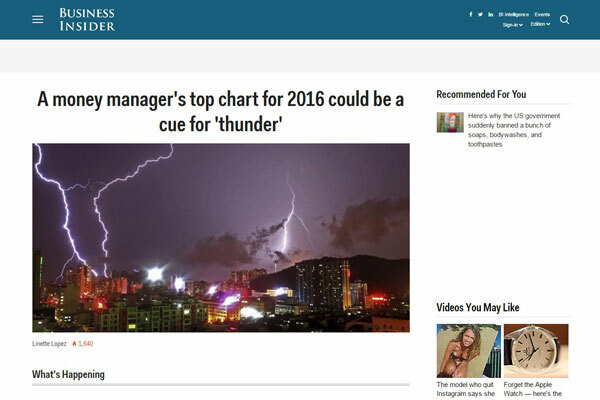 Here’s another excellent business website that offers its readers the newest business, financial and personal finance news for anything related to this subject. About.com considers it one of the top financial websites. 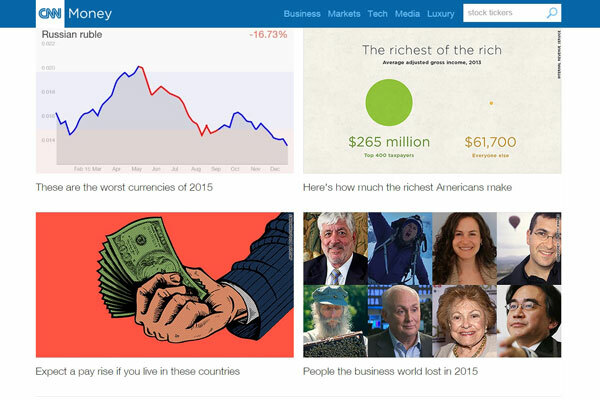 Considered to be one of the largest business website, CNN Money is online publication for two other important magazines: Money and FORTUNE, as well as the CNN’s exclusive business website that shares useful and high quality articles with themes like economy, tech, small business or leadership news for all entrepreneurs interested about their self-improvement. Probably one of the best online and reliable sources, that definitely deserves a spot as one of the best business websites. It offers readers great and qualitative information for the world’s business leaders who want to be successful. Whether you want to read news, politics, economics, studies, listen to video or even see interesting tops released by Forbes of the top companies, celebrities or richest people in the word, this online business site is your daily online resource. With a simple and easy to use interface, there’s also a search button where you can quickly access all needed information. 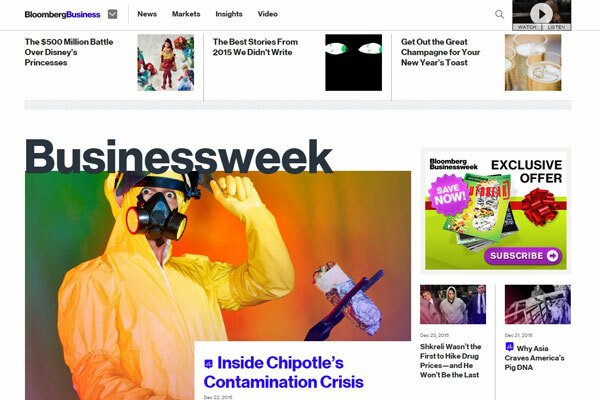 If you are looking for alternatives, Business Week is a daily source of information for business persons, business news, tendencies and all kind of profiles of business people; a publication where readers can search for financial advice and seek answers to their problems. With a simple yet catching interface, this platform provides easy-to-find information on the website with headlines where you can reach everything you need to know. Are you looking to start a new business? According to a recently released ADP National Employment Report, small businesses with less than 50 employees created about 45 percent of the 188,000 new jobs in June month for unemployment persons. So, starting your own company can also be useful for others people who still struggle to find a job. 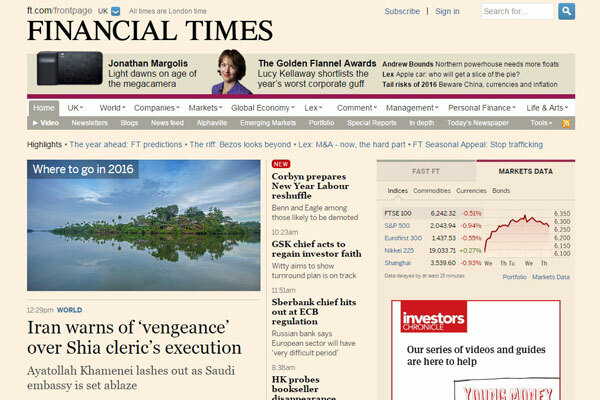 If you are looking for online resources to be informed, Financial Times can be a great tool to read interesting and fresh business news in the morning, while drinking your coffee. Offering the latest UK and international business, finance, economic or political news, as well as interviews, videos, photos or market data, this online magazine is an excellent source with million registered users, digital subscribers plus paying users. With a long tradition, Financial Times is one of the most serious and reliable publications to be informed day by day when you are looking for guidelines to your daily business issues. 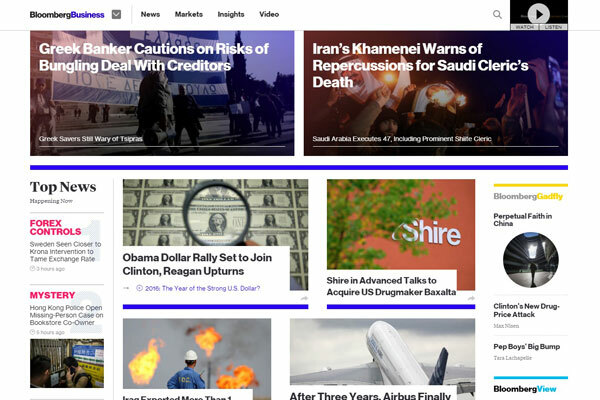 This is another great site for business and financial news that can provide you excellent insights about everything you need to know. 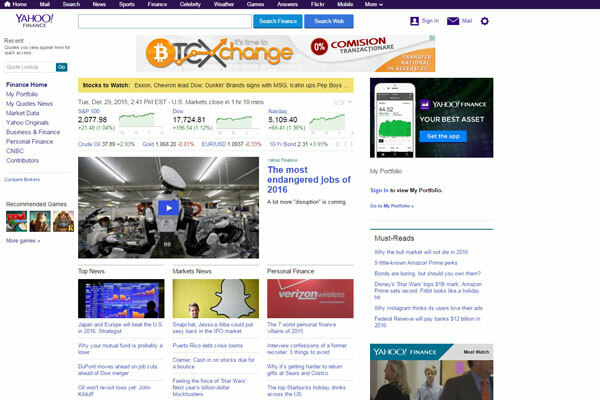 Bloomberg delivers market data, personal finance, economic news, stock futures or quotes. Moreover, the publication has a list of recommended videos and is a leader in global business and financial information, helping business persons to make critical decisions about their business. Here’s another important business website that can provide its readers high quality content with articles about (un)conventional business strategies, finance news, markets, politics, useful charts and tops, as well as tips and tricks to use in the business world. It is a fast-growing business website targeting also media, tech, life and other industries. In 2009, the online publication received an Official Webby Honoree for the Blog – Business category. 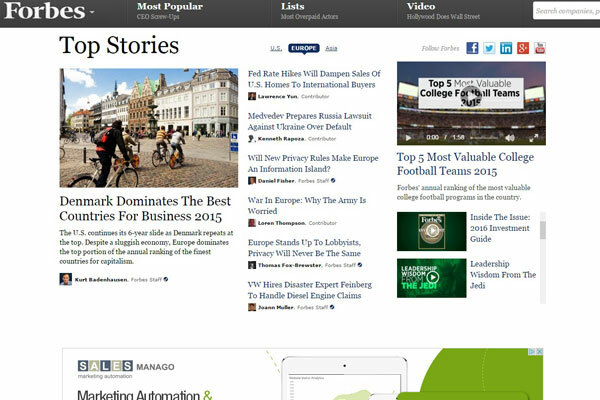 This online publication needs to introduction, because it’s on of the top business websites known for its serious and professional online journalism, a reliable source that covers business news, financial, markets, money, politics and other useful news. 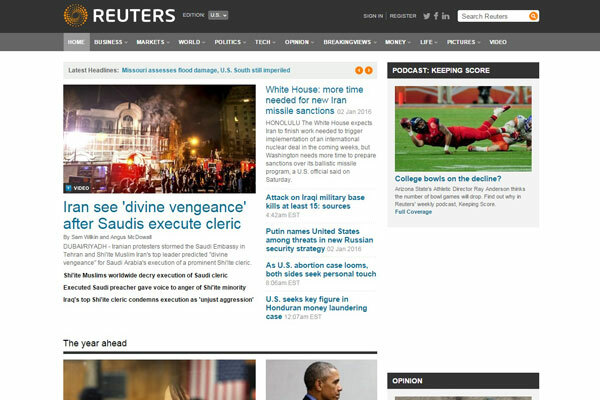 If you are looking for top notch and great stories from the business world, Reuters should be on your favorite business websites. Focused more on the financial section, Market Watch offers stock market data, business insights and recommendations, as well as great analysis that can be extremely useful for business people who need an overview of the market and don’t know exactly where to look for. 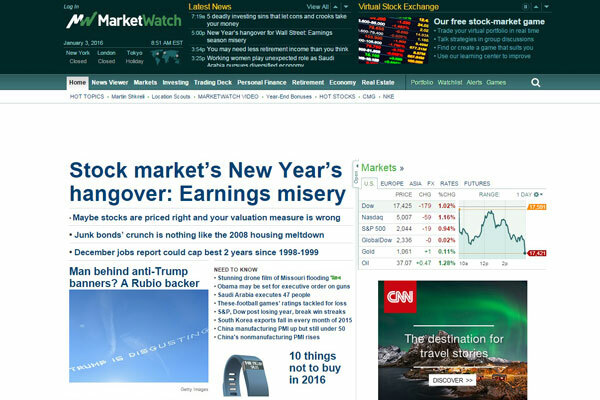 Tracking the pulse of the markets, this online publication keeps readers up to date with the latest news from the world, including also real-time commentaries, useful analysis and other industries.